Welcome to the farm! What does the farmer drive over the fields? Which animal likes to take mud baths? 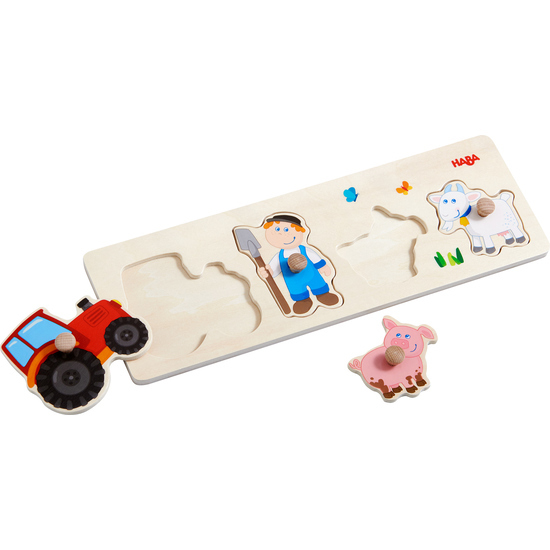 With this premium clutching puzzle, even the smallest child has loads of fun learning about country life. When puzzling the pieces into the puzzle frame, large, easy to grasp knobs give satisfying support.